On 18th September 2015 the United States Environmental Protection Agency sent a notice of violation to Volkswagen and the scandal known as ‘Dieselgate’ went public for the first time. Just two days earlier, the International Organisation of Motor Vehicle Manufacturers (OICA) had released a public opinion survey entitled, ‘The Global Image and Reputation of the Auto Industry’. In hindsight this looks like a display of comic timing worthy of Mr Bean. OICA proudly reported that 73% of respondents believed that the industry could be trusted long term. After thirty billion dollars in fines, compensation, and repair costs it’s not just the reputation of VW that has taken a knock but the entire automobile industry. I doubt if OICA are planning to repeat their survey anytime soon. Today, there is a trust deficit between vehicle producers, policy makers and the public that has to be overcome. It is true that VW sales are up 11% and the company has weathered the storm so far. But the industry landscape of product engineering and policy enforcement has profoundly changed. Diesel sales are plummeting, regulatory systems are under review and in some jurisdictions dramatically changing. The pendulum has swung from a policy mix that was biased in favour of diesels to setting targets to eliminate sales of internal combustion engines entirely, perhaps even including hybrids. All this is happening at a time of great change and challenge in the automotive industry. It makes me wonder if the current process of dialogue between car manufacturers, governments and the public is fit for purpose. Today I would like to address three questions that I think must be faced if we are to restore trust to automotive policy making. First, how do we secure an effective watchdog role providing independent assessment and consumer testing? Second, how can we build a stronger global commitment to the United Nations vehicle regulatory system? And, thirdly can the automotive industry overcome the tendency for knee jerk resistance to safety and environmental regulation? Without the actions of an independent environmental watchdog, Dieselgate would never have happened. In 2014, the International Council for Clean Transportation (ICCT) began to examine emissions discrepancies between US and EU vehicle models. ICCT engaged a laboratory at the University of West Virginia to carry out real world emissions tests and the rest, as they say, is history. In the field of vehicle safety New Car Assessment Programmes (NCAPs) have played a similar watchdog role. But NCAPs also help to build a market for safety, incentivising manufacturers to offer levels of safety performance that far exceed minimum regulatory standards. For example, 21 years ago Euro NCAP was established and today 87% of new models have a safety rating. Of these 79% achieve the maximum five stars. The combination of EU minimum crash test standards enforced since 1998 and Euro NCAP had led to a 50% drop in vehicle occupant deaths saving over 78,000 lives. At an international level Global NCAP provides a platform for co-operation among NCAPs and supports their creation in emerging markets many of which are poorly regulated, and face huge environmental and safety challenges. Like ICCT, Global NCAP has exposed industry practices as disturbing as Dieselgate. Today major global brands are selling models in emerging markets with bodyshells so poorly engineered that they collapse in a typical frontal crash test at 64 km/h. The crushing effect on the occupant compartment is so bad that it makes even fitting an optional airbag redundant. But our work has had powerful effects encouraging manufacturers to improve their products and governments to regulate. Across the world there is a growing trend for regulatory harmonization of basic vehicle safety standards. This is part of a wider effort to reduce the 3,500 deaths occurring daily in road crashes across the world. Global NCAP’s operating principle is the old Russian proverb, ‘trust but verify’. But our verification work through crash testing is not cheap. Both Global NCAP and the ICCT are mainly funded by philanthropic sources. In our case by the Bloomberg Philanthropies and the FIA Foundation. Today there are huge challenges in vehicle regulatory systems that need sustained investment. These include capacity building in emerging markets to implement type approval and market surveillance; better quality control and inspection of second hand vehicles arriving in importing countries; and adapting type approval and consumer testing for the emergence of driver assistance technologies and greater vehicle autonomy. All these issues must be addressed to restore trust in the automotive regulatory system. And this is equally important for government as well as industry. Dieselgate has given rise to specific concerns about the robustness of official emissions testing, and more generally, the risk of ‘corporate capture’ of the policy making process. But there is an antidote to any risk of loss of integrity of the automotive regulatory system. It is sunlight; transparency provided by watchdogs that are independent and evidence based. But how do we guarantee that watchdogs can bark? A vital ingredient is funding beyond the control of either industry or government. One mechanism would be to allocate a proportion of the billions of dollars in fines that are levied on manufacturers for regulatory violations, recalls, anti-trust etc. A precedent already exists; in 2012 Toyota agreed to contribute $30 million to vehicle safety research as a part of a wider settlement arising from a class action over the issue of unintended acceleration. Last month the UN General Assembly adopted a resolution that establishes a new UN Road Safety Trust Fund to support road injury prevention including vehicle safety. So why not channel a levy on fines to this good cause? This could generate an important additional flow of funds for independent vehicle rating and assessment. Whilst approving the new Trust Fund last month, the UN General Assembly also called on Member States “to implement UN vehicle safety regulations or equivalent national standards to ensure that all new motor vehicles meet applicable minimum regulations for the protection of occupants and other road users, with seat belts, airbags, and active safety systems fitted as standard”. Global NCAP strongly welcomes this recommendation and the encouragement of member States to participate in the UN’s World Forum for Harmonisation of Vehicle Regulations at the UN Economic Commission for Europe in Geneva. 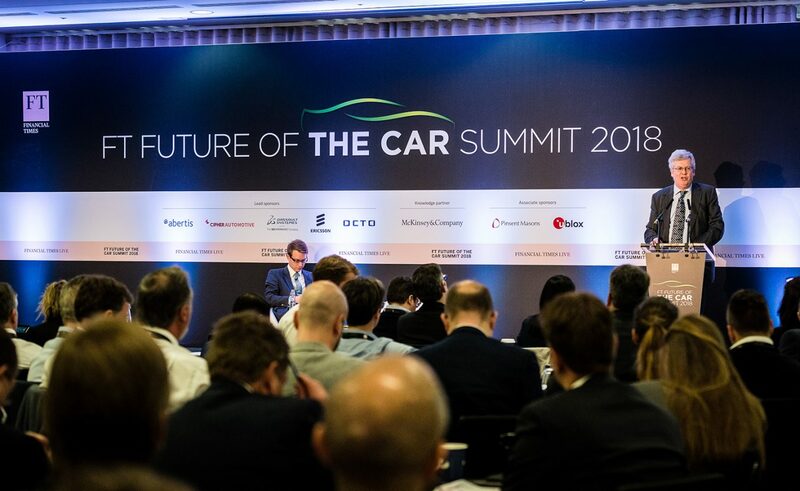 The World Forum is a place where governments, the automotive industry, and independent consumer interest groups like Global NCAP, can co-operate on a shared regulatory agenda to promote safer, cleaner and more fuel-efficient motor vehicles. Stronger engagement in this multilateral process is especially important for rapidly motorizing countries that need to adopt modern regulatory practices. This is especially urgent where the global fleet is forecast to double in the next fifteen years. Global collaboration can promote economies of scale, fair competition, and high levels of consumer protection. All this is overwhelmingly beneficial for the automotive industry which is already highly consolidated and globalized. In principle, at a general level, car manufacturers agree with this. But in practice, and when it comes to specifics, a pervasive culture of resistance kicks in with almost all regulatory initiatives. Time after time industry lobbyists reach for their well-worn playbook of demanding more evaluation, exaggerating costs, and trying to delay implementation. For example, 20 years ago, I was involved in a fierce battle like this over EU crash test standards and the creation of Euro NCAP. Back then the European Car Makers Association (ACEA) lobbied to dilute and delay both initiatives. They failed and in just a few years manufacturers were competing to reach five-star awards that some had previously claimed were technically impossible to achieve. Has anything changed since then? Unfortunately not much. Just two days after the US presidential election, the US industry association, the Auto Alliance, sent a letter to the Trump transition team asking for a ‘comprehensive regulatory review’. They should be careful what they wish for. Because now, entirely predictably, a coalition of 17 states led by California are challenging the Trump Administration’s roll back of President Obama’s fuel economy standards, and the US domestic automotive market is once again threatened with regulatory fragmentation. Sadly, the Trump regulatory review has also frozen an upgrade in US NCAP which was to have included pedestrian safety requirements that are already regulated in the EU and Japan. Pedestrian fatalities in the US have increased 46% since 2009. But despite this worrying trend President Trump recently complained that pedestrian safety standards in Japan are being used to prevent entry of some US cars. It is depressing to see a well-established UN safety regulation being misrepresented as an ‘unfair’ trade practice. But to make matters worse, the Trump Administration is now taking aim at the UN’s entire role in global harmonization. At the end of the UN General Assembly last month the US delegation took to the floor to specifically disassociate from the recommendations on vehicle safety and express “serious concerns” at any encouragement of other Member States to use the UN’s vehicle regulatory agreements. I am not sure the Auto Alliance realized that the comprehensive regulatory review they asked for would be extended globally. But now they seem to have unleashed a US assault on the UN vehicle harmonization process which has previously been supported by both Democrat and Republican administrations. Incidentally this is another potential Brexit headache for the UK Government. In her Mansion House speech in March, Theresa May made a commitment “that UK and EU regulatory standards will remain substantially similar in the future”. The Prime Minister also said, “Many of these regulatory standards are themselves underpinned by international standards set by non-EU bodies of which we will remain a member – such as the UN Economic Commission for Europe, which sets vehicle safety standards”. Unfortunately, we now know that the US Government is actively discouraging use of the UN regulatory process and that that Donald Trump is complaining about pedestrian safety regulations that have been applied here in the UK since 2005. So, I guess that means we will have to leave automobiles out of any future US free trade deal? At a time like this I believe the car manufacturers and their representative associations must speak up and strongly defend the value of the UN system in providing a predictable framework for environmental and safety regulations that also facilitates international trade in automobiles. They should promote the benefits of regional and global harmonization and play a much more positive role when new regulations are proposed. At least at a European level there is now an opportunity to avoid the negative approach of the past. Tomorrow the European Commission will unveil proposals for the largest upgrade in vehicle safety standards since the crash test of 1998. The General Safety Regulation (GSR) package will include versions of autonomous emergency braking (AEB) and intelligent speed assistance (ISA) to be applied in phases for new models from 2020. The proposal, already long overdue, has been subject to an extensive consultation process and cost benefit analysis. It will accelerate fitment of advanced driver assistance systems that are pathways towards greater vehicle autonomy, building customer familiarity and acceptance. The GSR proposal will go through the usual EU legislative process in the Council and European Parliament. ACEA may be tempted to claim more studies are needed and try to delay implementation. But I hope they won’t. They may argue that ISA – which is already available on their member’s products – needs further development. But that would undermine industry claims that autonomous vehicles are just around the corner. ISA technology is after all an essential component for AVs. So, I hope that ACEA will adopt a positive approach, supporting early adoption of AEB and ISA – crash avoidance systems which will contribute to the EU’s newly proposed target to halve road deaths and serious injuries by 2030. To conclude I would urge support for a new framework for automotive policy-making that, firstly, builds in a role for watchdogs and funds them in a way that ensures their independence; secondly, recognizes the important role of global harmonization in a rapidly motorizing world; and thirdly aims for an approach in which the automotive industry tries to become a partner rather than a protagonist in the vehicle regulatory process. Thank you very much.